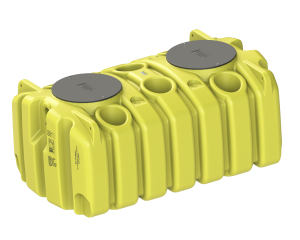 Ace Roto-Mold low profile septic tanks are stronger, easier to install, and less costly than old-fashioned concrete septic tanks – yet they still offer the quality construction and safety you expect. Manufactured from high-density polyethylene with U.V. inhibitors, Ace Roto-Mold tanks utilize a horizontal flow designed for below ground installations up to 36 inches. Each tank carries an individual serial code and is fully document from date of manufacture. 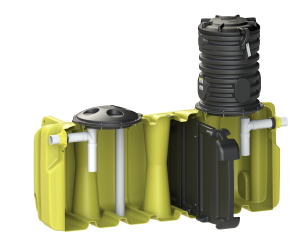 Ace Roto-Mold low profile septic tanks are designed and manufactured with rigorous quality controls. The trapezoidal deep-rib design and interior baffle system make Ace Tanks the industry choice. Only Ace tanks feature a custom-molded gasket in the lid. Manufactured from extruded Nitrile rubber, the gasket snaps into the lid and ensures a watertight seal. Our exclusive lid design locks in place with nylon ties, eliminating the need for metal fasteners that can corrode and fail. Ace’s unique tank baffle system slows the flow of wastewater and directs it to the middle of the tank so wastewater can separate from solids. An outlet baffles allows the partially treated liquids to flow out for further treatment. Advantages of Ace’s baffle design include added strength, versatility, and ease of installation. 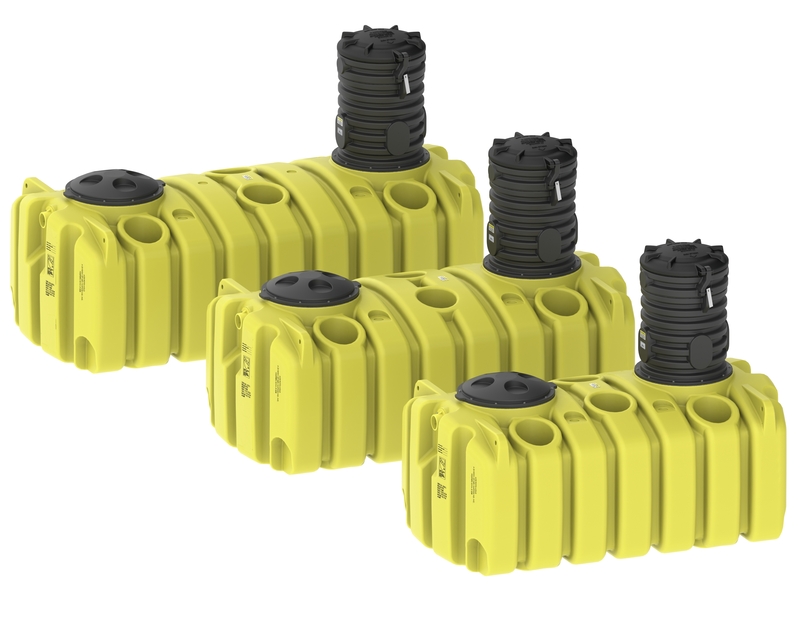 Our NEW Low Profile Septic tanks are available in one-compartment and two-compartment designs and are manufactured for containment of liquids up to 1.7 specific gravity. They are also designed to be backfilled empty. These low profile tanks are designed and manufactured to meet wastewater treatment system standards. 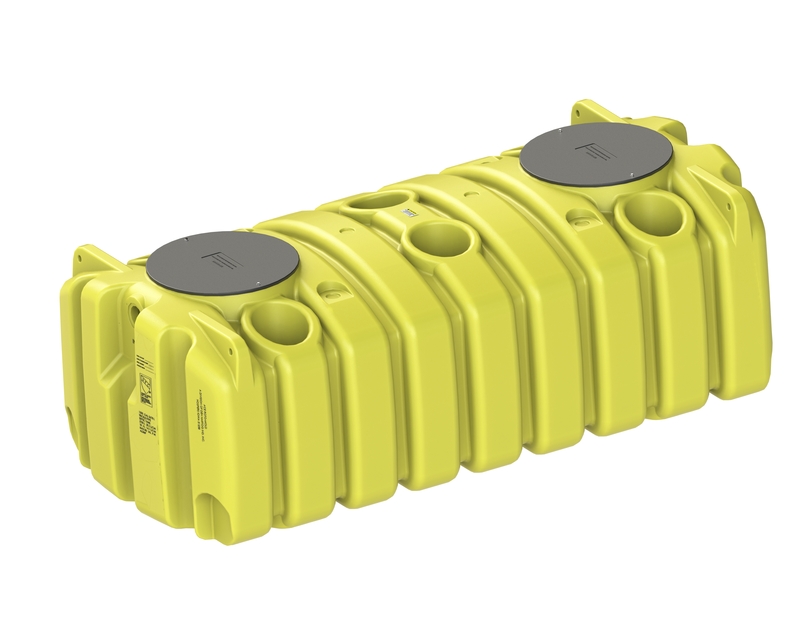 The 1000, 1250, and 1500 gallon double-compartment low profile septic tanks have been tested by IAPMO to meet the IAPMO/ANSI Z1000-2013 and CSA B66-2016 standards.